Once only available in our restaurant, now you can have that great recipe in your kitchen. Enjoy on pasta, vegetables or on your own home created pizza. Package includes 3 jars of sauce. 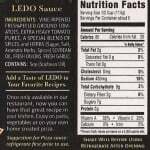 Ledo Pizza Sauce is made from the same recipe that is found on the original index card that was used in 1955. Each jar is shelf stable and can be stored in your pantry for your next family meal, neighborhood party, or evening with friends. Ledo Pizza is Square because Ledo Pizza Never Cuts Corners. 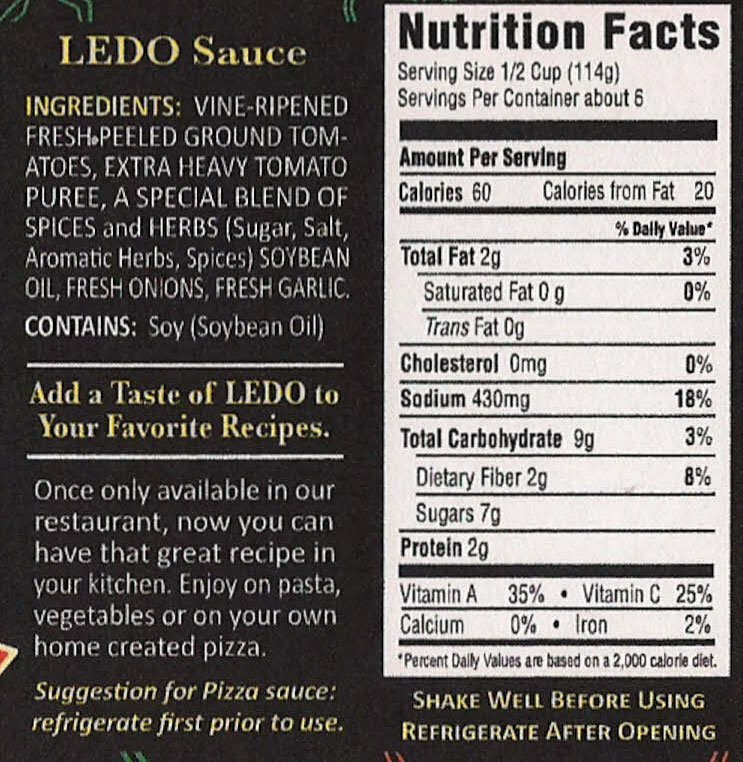 Please note that each Package of Ledo Pizza and Pasta Sauce contains 3 Jars of Sauce. 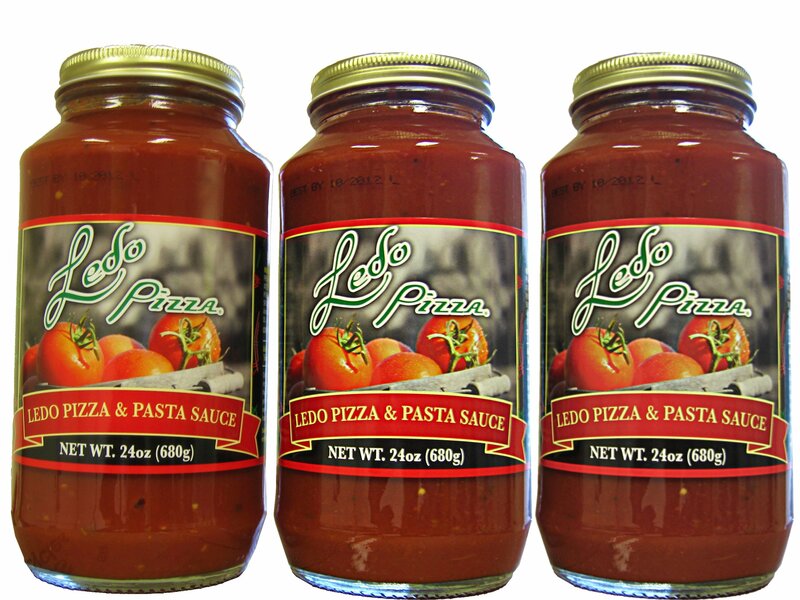 This sauce can be used for Pastas, Your Own Pizzas, Lasagnas, and many more recipes.